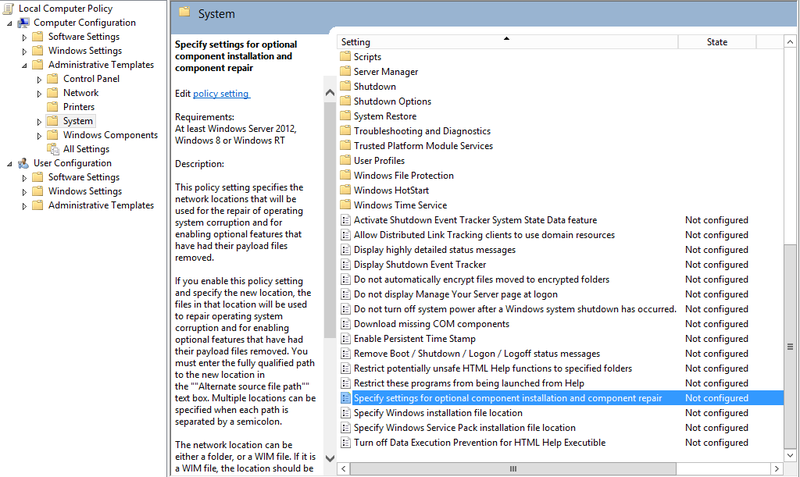 In Windows Server 2012 the binaries for Features on Demand e.g. the .Net Framework 3.5 are not installed as part of Windows. When you enable this type of feature Windows will attempt to contact Windows Update to download the required files. If you’re working on a server that’s not connected to the internet this can be problematic. 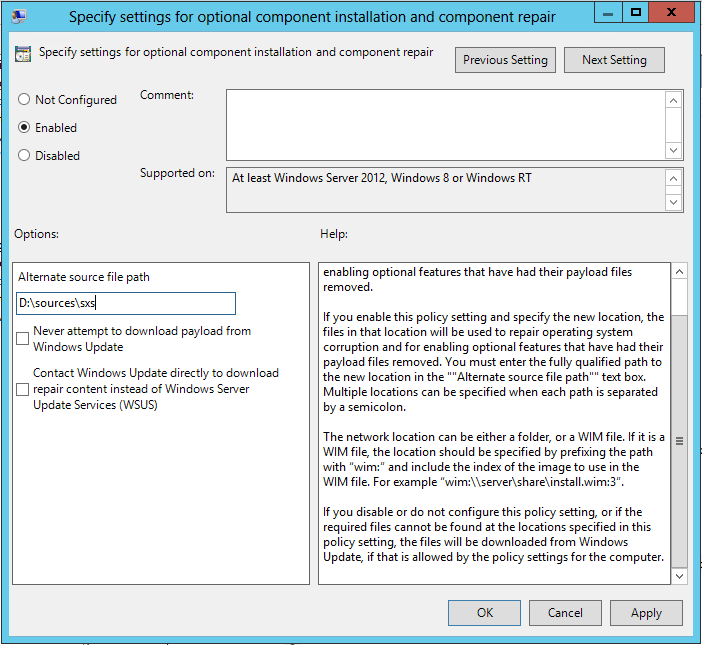 One work around is to use Group Policy to specify an ISO file as an alternate file source. Enable the setting and type the path to the sxs folder on your ISO file. This entry was posted in General on September 19, 2013 by richardstk.